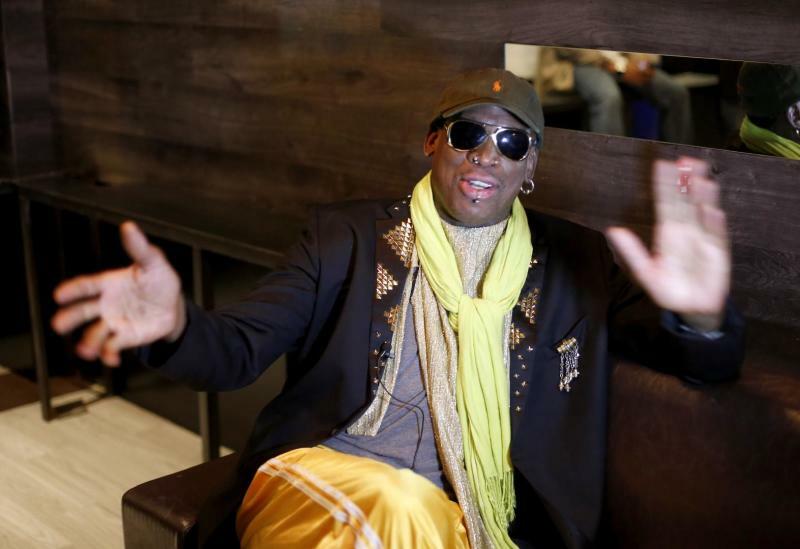 LOS ANGELES (AP) — Dennis Rodman is at the top of a list no one wants to be on. He's been named GQ's No. 1 least influential celebrity of 2013. The 52-year-old former basketball player who has visited Kim Jong Un in North Korea was selected as the top pick in the magazine's third annual list of the least influential celebrities, which also includes twerking pop star Miley Cyrus, President Barack Obama, and celebrity chef Paula Deen. GQ called Rodman a "Q-list celebrity willing to commit borderline treason just to hang out with a dictator who himself aspires to be a Q-list celebrity." Rodman said this week he's preparing to return to North Korea late next month for an exhibition basketball tour. Deen, whose cooking empire imploded this year after she admitted to having used the N-word to describe black employees, came in at No. 2 on the list behind Rodman, while former sexting U.S. Rep. Anthony Weiner took the No. 3 spot. "He's the saddest lecher in American politics, and that's saying something, because they're all lechers," the magazine said. Cyrus, who garnered attention at this year's MTV Video Music Awards for her provocative performance with a foam finger, won the No. 6 position for "basically trying every inane strategy she could think of to rile up America's few remaining pearl clutchers." The magazine noted "what's sad is that it totally worked." Obama came in at No. 17 because "nothing gets done." Other celebrities deemed non-influential include Justin Bieber, Lady Gaga, Ryan Reynolds and Will Smith.